Looking for things to do in Cheboygan, MI that won’t break the bank? Check out our top picks! They include options for the outdoor lover, something for music enthusiasts, and even a brewpub. 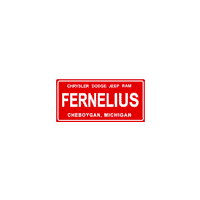 No matter what you’re into, you’ll have no problem finding something you’ll enjoy with this guide from Fernelius Chrysler Dodge Jeep Ram, your trusted local experts. Established in 1872, the Cheboygan Brewing Company has gone through some major ups and downs. Evolving to offer more than just stouts and ales, they’re now an anchor in the community with a passion for creating great beer and unforgettable memories. If you’re searching for a quiet campground with beach access where the kids can play while you enjoy the sound of lapping waves on the shore, this is it. Cheboygan State Park rests along the shores of Lake Huron, offering a peaceful retreat from the stress of city life. Trying to find that perfect shell for your project or collection? Sea Shell City is the place for you. With hundreds of shells on display and dozens of novelties for purchase, you can spend a whole day just browsing the aisles! One of the oldest industrial sites in the region, the Mill Creek Discovery Park allows visitors to see and experience industry as it was in the beginning. And, if you prefer more active pursuits, you can take a ride on the zipline or explore the hiking trails that surround the complex. Fans of live music, rejoice! The Opera House frequently plays host to world-class acts such as the Vienna Boys Choir, as well as local talents like the Magic Bus. If you can’t make it in for a performance, take a tour of the historic venue and learn about the ghoulish ghosts that reside deep in the recesses of the building. Once you’ve visited some of the places in our list, come down to our Cheboygan car dealership to upgrade your ride around Fernelius Chrysler Dodge Jeep Ram! We’re here to help guide you through the car-buying process with the expert help of our sales and finance staff, and we also offer advice to help you be a great car owner, such as how long an oil change should take. Our team is local to the area, so they’ll also be able to recommend their favorite things to do around Cheboygan, too! Stop by our nearby Traverse City dealer or contact us today. If you’re looking for other things you’d like to try around Cheboygan, check out our local guide.